This fall, CDPS will be rolling out a new online system that all employees will use to record and track their hours and leave. This electronic timekeeping system is the first step in a long-term migration to a new, more efficient and accurate statewide Human Resource Information System (HRIS) being implemented by the Department of Personnel Administration (DPA). 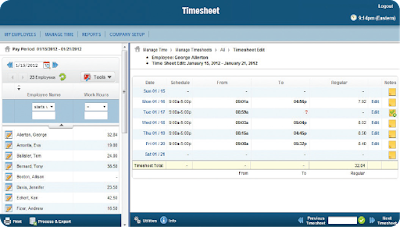 The timekeeping system, known as Kronos Timekeeper, will integrate with payroll and provide meaningful data and reporting capabilities not possible with our current technology. Additionally, it will provide you with access to real-time, accurate information. On Oct. 1, CDPS employees will start using the Kronos Workforce Timekeeper tool. It is simple and easy to use. Later this fiscal year, CDPS employees will receive access to additional Kronos tools intended to provide efficient, consolidated systems for managing and tracking time. We will share more information about those tools/modules as we approach their respective roll-out dates. If you are an employee with no direct reports, this process should be relatively straightforward and simple: you will attend a training of your choice in September to learn how to use the tool. Starting on Oct. 1 you will begin using the tool to enter, certify and track your time and leave. Everything you need to know about how to use the tool and what’s changing will be covered by the training or by your supervisor. If you are a supervisor, you will play an important leadership role in helping to make this transition a success. Project managers will be reaching out to you with more information and a request for data to populate your direct reports’ profiles in the system. In September, you will attend a training of your choice to learn how to use the tool. Starting on Oct. 1, you will begin using the tool to track your own time and leave as well as to approve your direct reports’ time and leave. We are happy to report that Kronos Workforce Timekeeper will provide a long-overdue benefit to you: the ability to access an accurate and up-to-date, online report of your real-time leave accruals, hours worked, and overtime. After Oct. 1, you will no longer have to submit paper leave slips or keep a separate, personal tracking system to double-check whether your leave balance is correct. Director Stan Hilkey and the Division Directors encourage all employees to complete a training in September. Additional resources such as a user-guide and FAQ will be made available to help you understand and use the new system. "I recognize that your first priority is performing the critical work of protecting the people of Colorado, and I know that administrative changes can be frustrating -- we all want to focus on delivering our mission and minimize other tasks that consume our valuable time," Director Stan Hilkey said. "In the long-term, we expect these tools to create efficiencies that will free up time so you can focus on that mission-critical work." He concluded with a challenge: "I invite you to approach this change as an opportunity to demonstrate leadership, flexibility, resolve, patience and a willingness to learn new skills and new ways of doing things." For more information about the Kronos system, roll-out and/or trainings, please contact Adrianne Raiche.